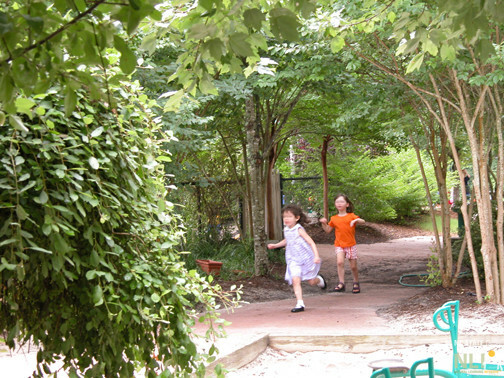 The Bright Horizons Family Solutions (BHFS) Child Development Center at Research Triangle Park serves families working on the adjacent GlaxoSmithKline campus, Research Triangle Park, between Raleigh and Durham, NC. 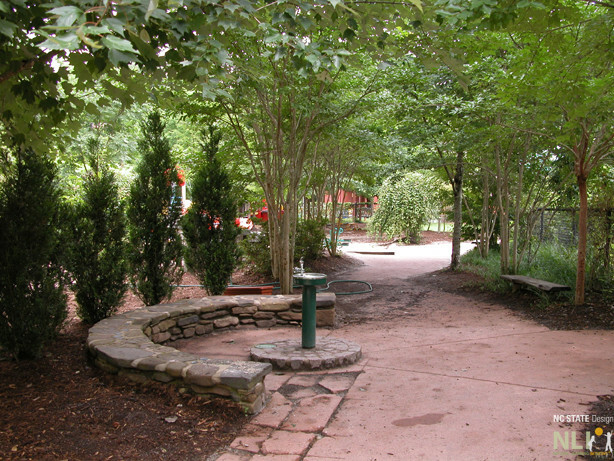 In 1997, Robin Moore was invited to assist with the renovation of the disfunctional site. 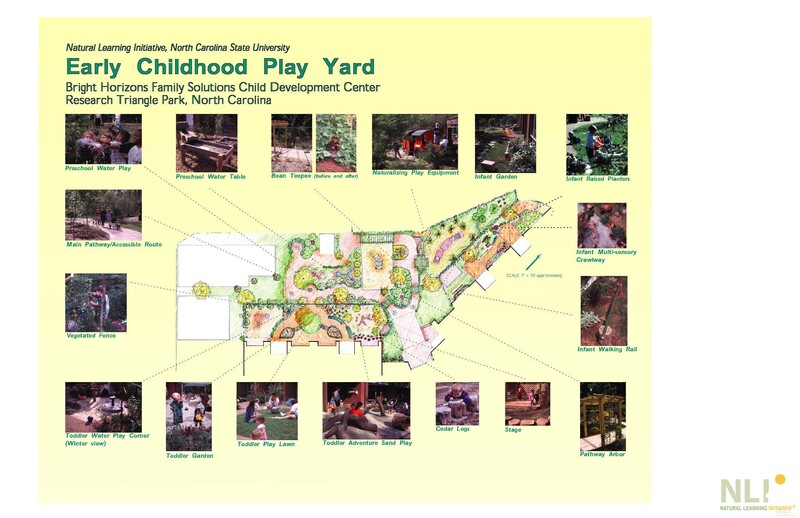 He worked with then NC State design and horticulture students (Leslie Booker and Kemper Covington) and led the design-build project with GSK in-house contractors. 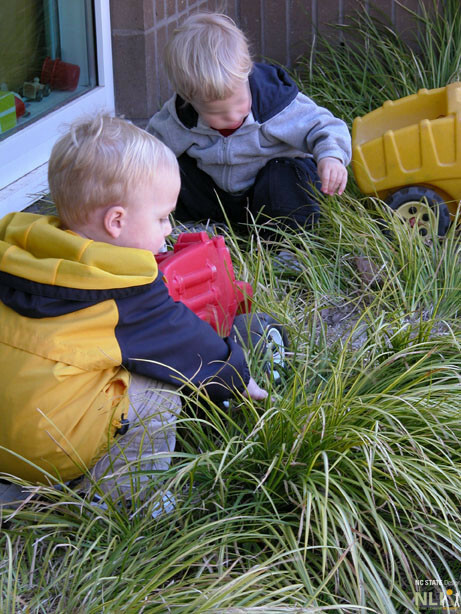 The three play and learning areas, which serve infants, toddlers, and preschoolers, continue to serve as a key NLI research site. 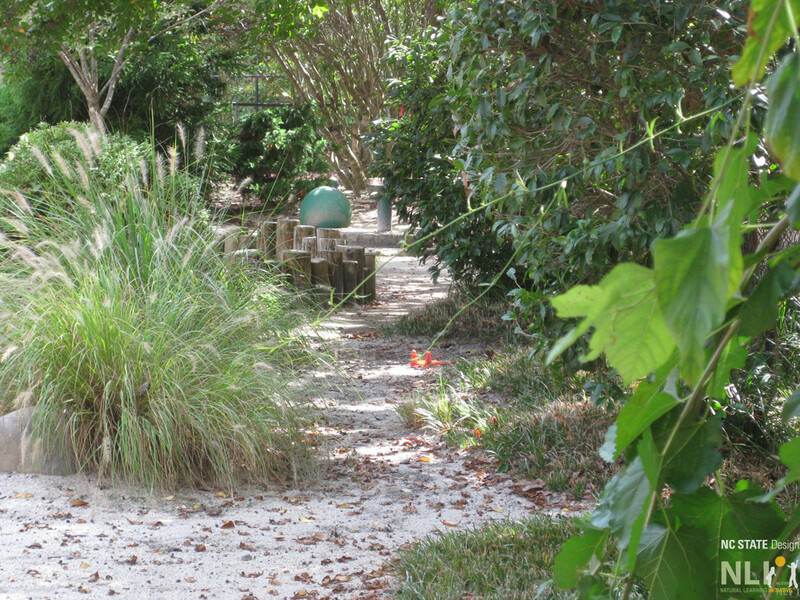 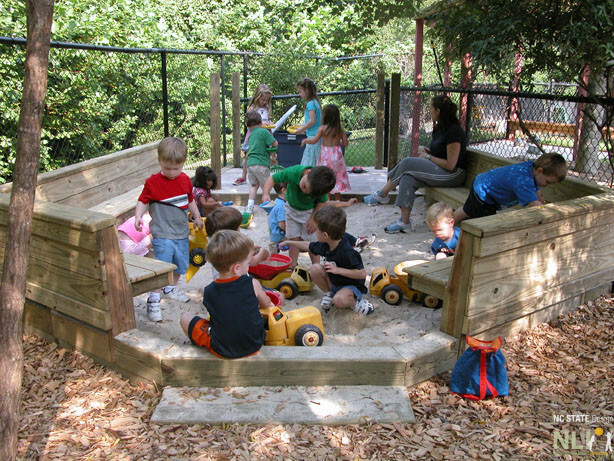 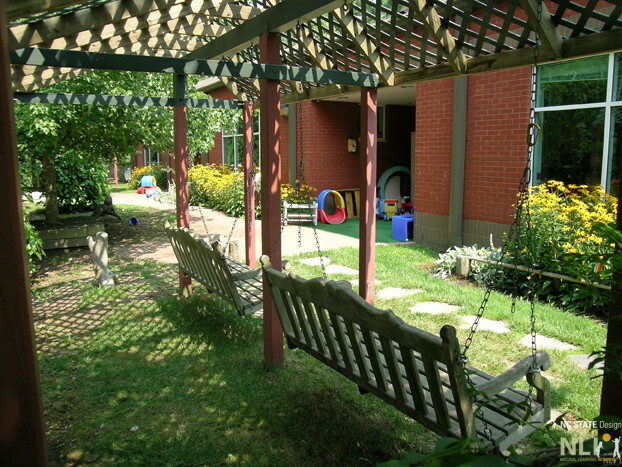 Each area or garden contains a broad curving pathway connecting play and learning settings that encourage children’s daily safaris of exploration, discovery, and learning.